This is part two on how to use Gradebook in Moodle. This workshop is for those who have used Gradebook before (or completed "Gradebook Fundamentals" and are looking to incorporate more grading options. This is a hands on workshop that enables you to grade a variety of assignments and enhance your skills in generating your assesment solutions in Moodle. Time will be given at the end for practice and questions. 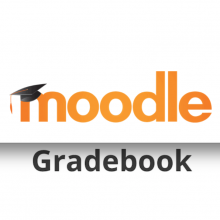 Basic knowledge of Moodle Gradebook. Bring your own laptop (if you have one).